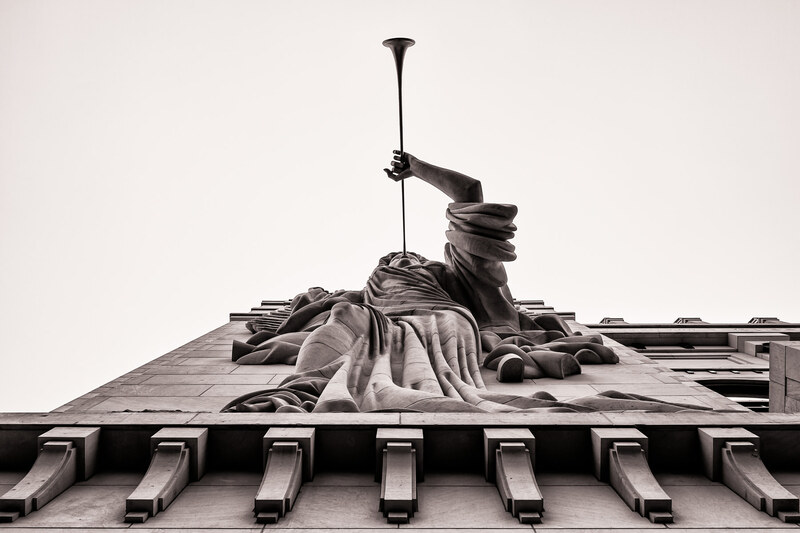 Detail of a statue of an angel blowing a trumpet at Caesars Palace, Las Vegas. 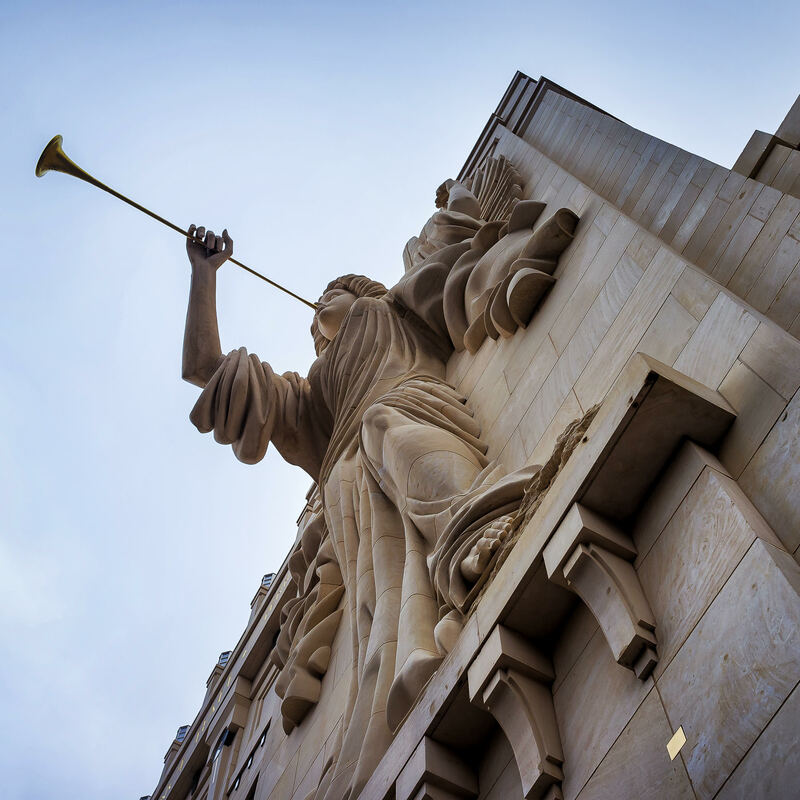 One of two 48-foot-tall trumpet-playing angels on the façade of Fort Worth’s Bass Performance Hall seem to announce the presence of this opera house to the world. 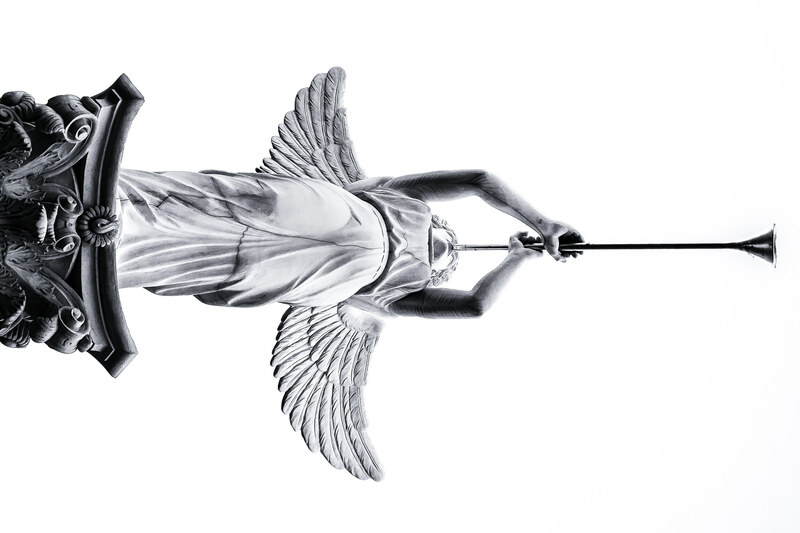 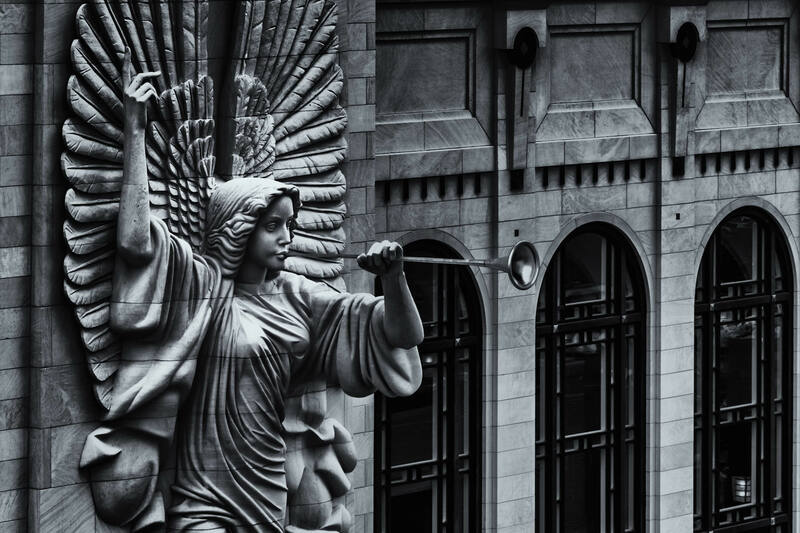 Detail of one of the two 48-foot-tall angels on the façade of the Bass Performance Hall, Fort Worth, Texas. 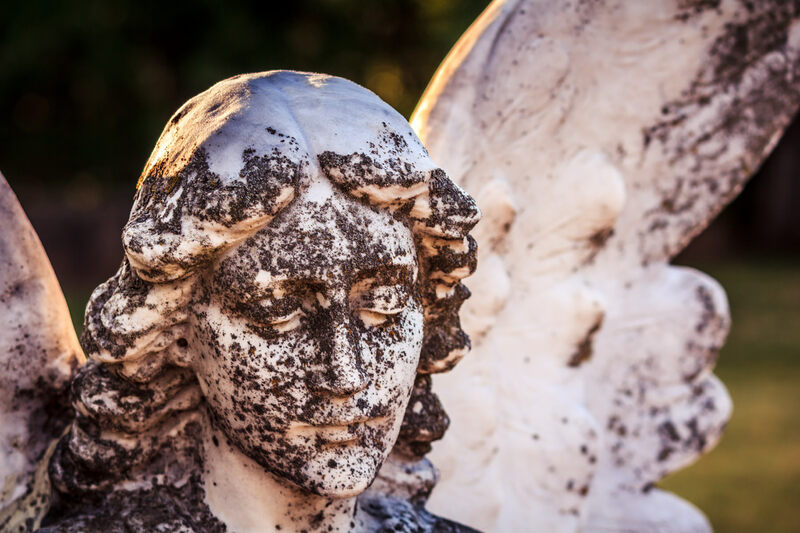 A moss-covered statue of an angel at Oakwood Cemetery, Tyler, Texas. 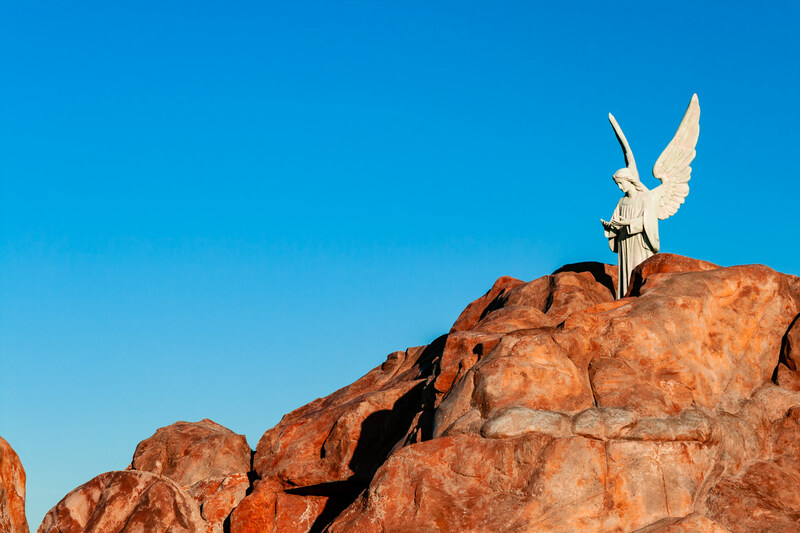 At the roadside Cross of our Lord Jesus Christ Ministries in Groom, Texas. 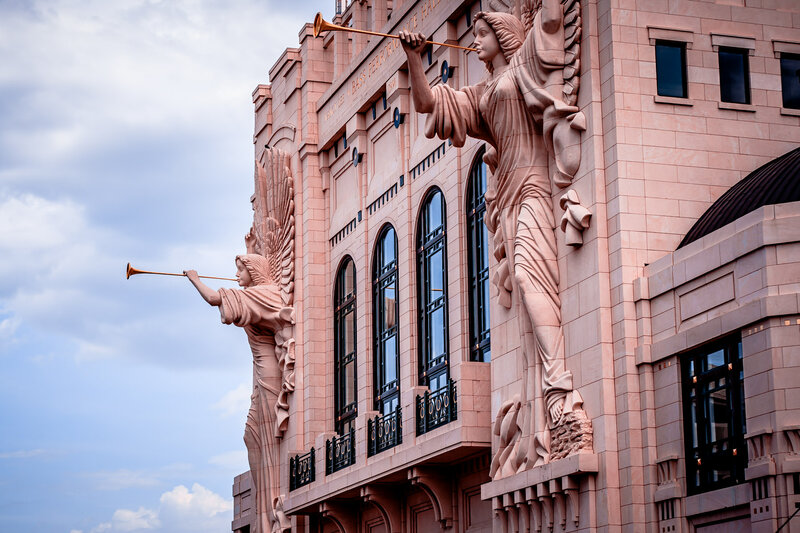 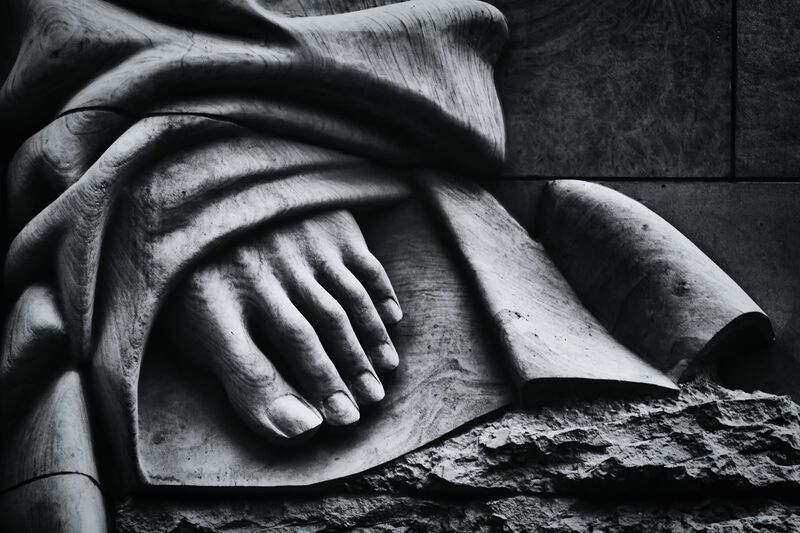 Two 48-foot-tall angels on the Grand Facade of Bass Performance Hall in Fort Worth, Texas, sculpted by Marton Varo. 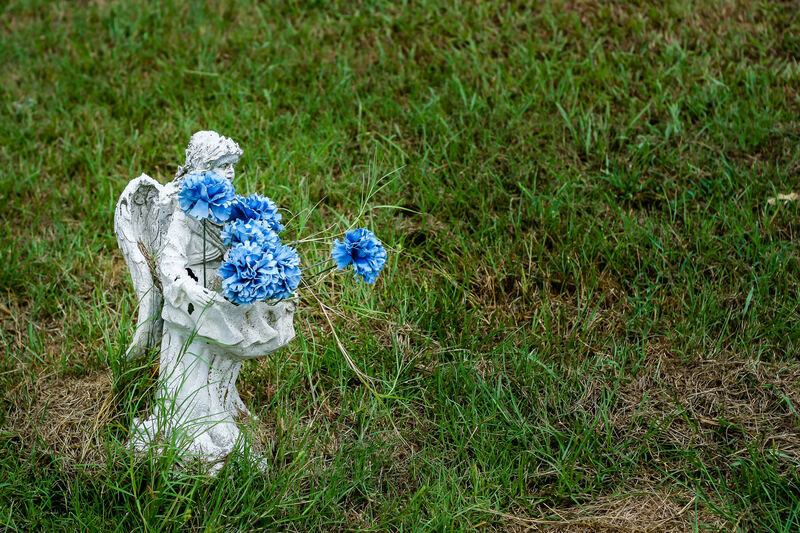 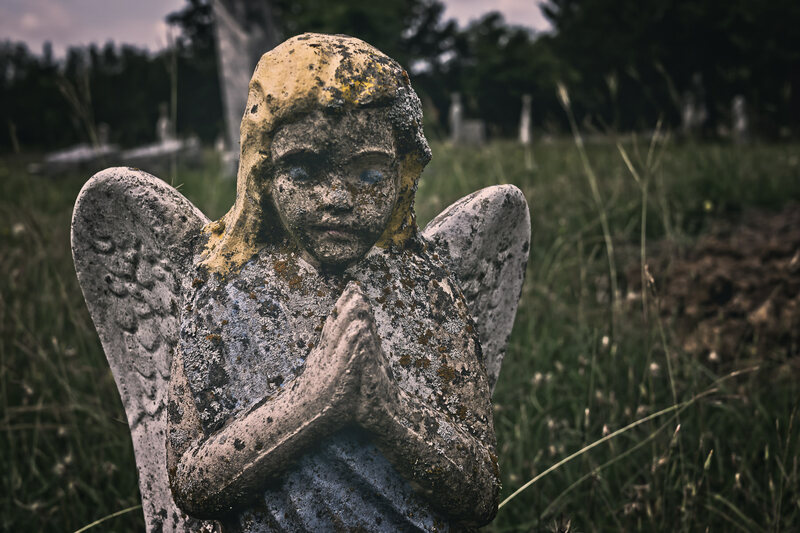 A small angel statue holds flowers at Minters Chapel Cemetery on the property of DFW International Airport, Texas.